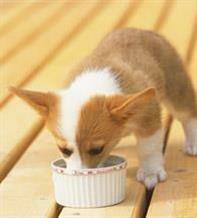 Dogs don’t just use their teeth to eat. They’re also essential tools, for carrying things, playing, tugging, chewing and living life to the full. Like humans, dogs are born without teeth and deciduous (temporary / milk teeth) also precede their permanent teeth. 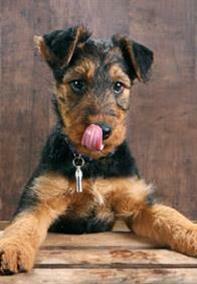 A puppy’s deciduous teeth start to erupt through the gums at just 2-3 weeks old. A puppy will have a full set of 28 deciduous teeth by 12 weeks of age. Just a few weeks later, at 16 weeks old, the roots of deciduous teeth start to be resorbed, this makes them become loose and fall out in order to make space for the permanent adult teeth. Deciduous teeth are often swallowed but you may notice them in bedding or on the floor. Sometimes deciduous teeth can be retained, in which case you should take your puppy to be checked by a vet as they may need to be removed. Your puppy will have a full set of 42 adult teeth from 6-8 months of age. 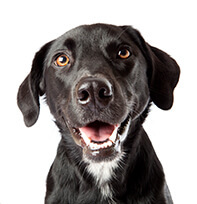 A healthy mouth depends on healthy teeth and gums so owners should have their dog’s teeth checked regularly by a vet or vet nurse and establish a daily oral care routine from about 4 months of age.